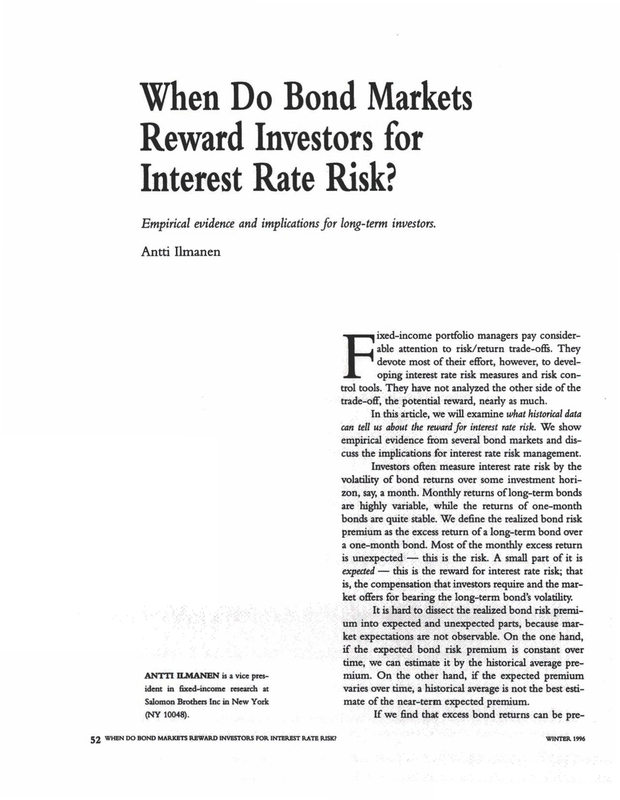 When do Bond Markets Reward Investors for Interest Rate Risk? A Vice President in Fixed-Income Research at Salomon Brothen Inc in New York (NY 10048). You are going to email the following When do Bond Markets Reward Investors for Interest Rate Risk?